Over this article we will be going to see; how to update Google Nexus 7 tablet with Custom ROM firmware which is dubbed as liquid Smooth- Jelly Bean v2.0 RC3 . One of the best part of this update is it comes with various enhanced features which Google Nexus 7 device fails to deliver in the stock/default firmware. And also, it has been rolled out to other devices as well. For applying this update you need to root your device and unlock the boot loader. 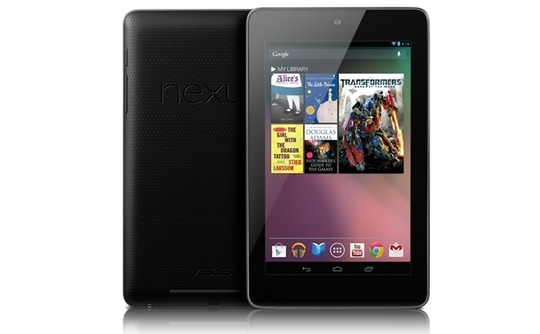 Without rooting and unlocking the boot loader you cannot apply the firmware in your Google Nexus 7 tablet. There is a risk of data getting wiped off after applying this update, so we strongly advise to take backup of all your precious data available in your phone. In case your data might corrupted due to any reasons you can easily recover them with the help of backup. Once you have created backup for all your datas move them to the computer so that they are safe. IMPORTANT : Don’t make use of any sort of PC Suites for backing up the data because it does not recognize the device in the custom ROMs. Enable the USB Debugging in your Google Nexus 7 tablet by following the path “Settings > Applications > Development > USB debugging”. Make sure that you have left the minimum battery level of 40% to avoid your device getting turned OFF in the middle of firmware update. First download the Liquid Smooth RC3 Custom ROM firmware and Google Apps package from here to your computer. Once downloaded, then connect your device to the computer with the help of original USB cable and place the two files in your Google Nexus 7 tablet. Then after that disconnect the device from the computer and download the ROM Manager app from the Google Play Store. Now, open the ROM Manager app in your Google Nexus 7 tablet and select the option of “Flash Clock Work mod Recovery” and then once its flashed successfully, select the option of “Reboot into Recovery Mode”. In the recovery mode, select “install zip from SD card” > “Choose zip from SD card” and then choose the firmware package which you have placed in the device. Once you have selected, it will take around atleast 5 minutes for applying the update. Once the firmware is updated successfully, the device will be rebooted automatically and you will be prompted to enter the Google Account and your name. To check on whether your tablet is updated with custom ROM firmware or not you need to go to the path Settings > About Phone where the firmware version will be mentioned as Liquid Smooth RC3 custom ROM firmware. NOTE : Just in case your tablet gets into the boot loop sequence while trying to apply this firmware update; then you need to turn OFF your device and reapply the procedure from the start. To turn OFF the device either you can reinsert the battery or long press the power button. Congratulations! now you have successfully learnt how to update Liquid Smooth RC3 custom ROM firmware in Google Nexus 7 tablet. Do let us know in the comments section if you face any issues we will try to address the same.